Pharmaceutical company Alpha Pharma, operating in India, is engaged in the production of a steroid called Rexobol-50, which has an anabolic and a slight androgenic effect. The main active substance is stanozolol. 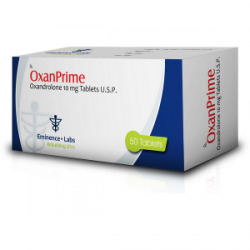 This product is available in the form of tablets (50 pieces in a package of 10 or 50 milligrams). This steroid was developed at Winthrop Laboratories. By chemical composition, it is a derivative of dihydrotetosterone. 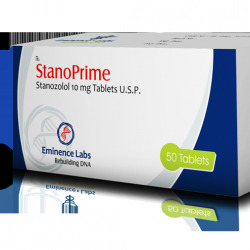 Stanozolol in the form of tablets is a very popular drug. Because of the presence of the alkyl group in the alpha-17 position, it is resistant to destruction when it enters the liver, but it has little toxic effect. But this agent in the form of injections also harms the body. 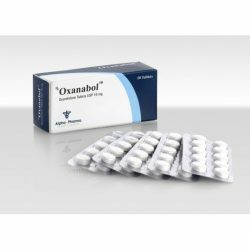 Initially, stanozolol was used to increase strength and endurance in horses participating in the races. Yes, because of this property, the drug was noticed by athletes, and after a while the steroid hit the pharmacological market. 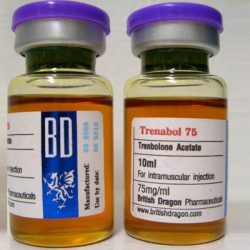 Because of the small action of androgens (30% of testosterone, but 320% of anabolic), Rexobol-50 is considered a very sparing steroid. 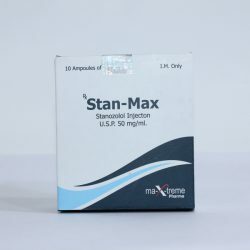 Stanozolol is not aromatized and has little effect on the liver (a strong effect occurs only at a high dose). This steroid is effective for 8 hours. Professional athletes who often undergo doping tests should use Rexobol with camouflage agents, as modern technologies detect the presence of this remedy in the blood for 12 months after the athlete has stopped using it. Presumably, it gives anti-progesterone and anti-estrogenic results. Basically, this tool is used by bodybuilders in the course of drying. 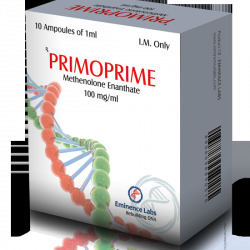 If you apply this drug during preparation for the competition, you can buy a quality, beautiful muscle mass. And also stanozolol is used by athletes. And according to the World Anti-Doping Laboratory, now Rexobol is the most popular pharmacological product. This conclusion was obtained because of the large number of positive doping tests. Course reception Rexobol-50 advise athletes who want to increase the strength and endurance, while not gaining weight. Most effectively, its active substance affects a person who has a small fat layer and sufficient mass. The preferred dose for each day is 30 milligrams, which should be divided into 3 parts. Do not advise to exceed the dosage of 50 milligrams. The course of the drug should last from 5 to 8 weeks. Increase the period of use for more than 2 months is not recommended, as this will lead to a problem with the liver. When the course is completed, it is necessary to conduct post-course therapy. Special sports nutrition will help achieve a better effect. 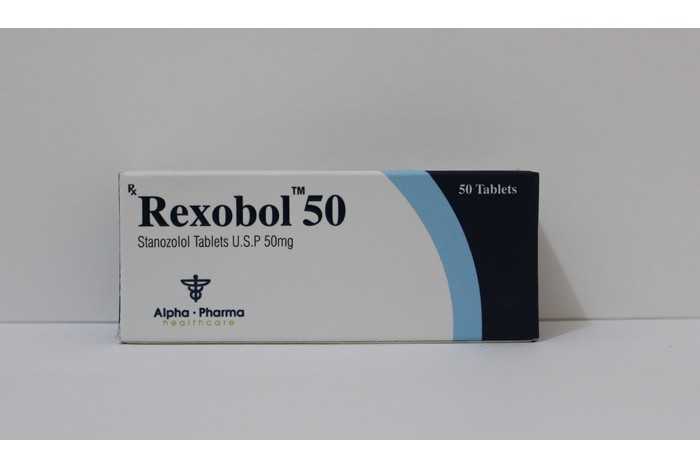 Rexobol-50 can be taken with other anabolic and androgenic steroids. For example, to gain muscle mass, to this drug should be added androgenic drugs (Anapolon, Testosterone, Methandrostenolone). 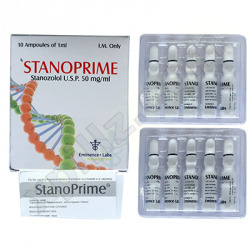 Stanozolol and these substances, taken together, help to balance the exchange rate, providing a synergistic result and greatly reducing the likelihood of side effects. 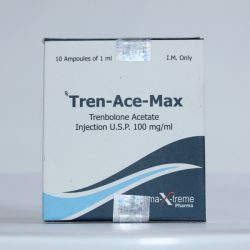 If the athlete needs to increase the result of drying muscles, then he needs to combine Rexobol and Trenbolon. 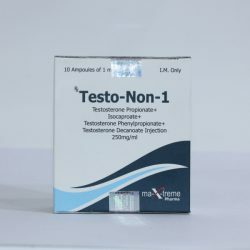 This drug has no estrogenic effect, does not provoke the onset of swelling and gynecomastia. 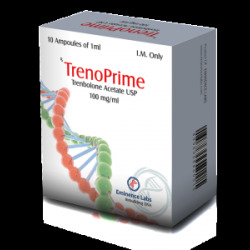 In general, unwanted results for the body after taking Rexobol-50 occur in the form of damage to ligaments and joints, since this steroid “dries.” To minimize the likelihood of injury, Testosterone and Deca are added to the Rexobol-50 course. Additional likely side effects are: increased blood pressure and cholesterol levels, androgenic reactions (acne, decreased production of testosterone, alopecia). The toxic effect on the liver is reduced by the use of hepatoprotectors. If you exceed the recommended dose of this steroid drug, then myocardial hypertrophy may develop. 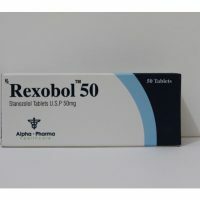 Oral use of Rexobol-50 is very convenient, so athletes, expressing their opinion about the drug, often note this point. Injection is very painful, there are “bumps”. Women highly appreciate this product, produced in the form of tablets. If you use it in small doses, then verification and other “pobochki” arise rarely. Professional bodybuilders respond positively to this remedy, so we can conclude that this drug is effective in terms of increasing the relief and reducing fat deposits. And athletes, weightlifters use stanozolol to remove excess water from the body. According to most athletes, Rexobol, manufactured by Alfa Pharma, is considered a safe and effective steroid.